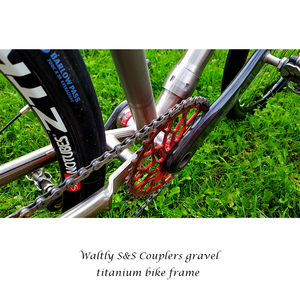 This gives us total control over all the various production processes and allows us to produce frames of the highest quality lovingly handcrafted from titanium. 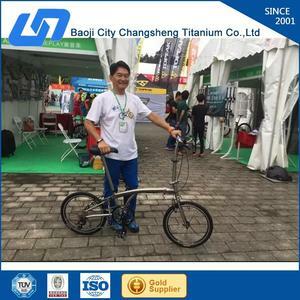 The design is the outcome of years of expertise in producing titanium bike frames to produce a brilliant riding experience. 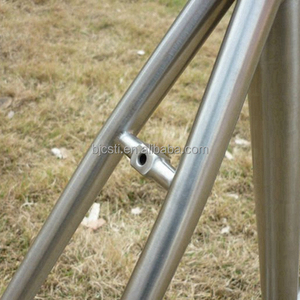 TESTING Testing is one of the most important stages during production and process before shipment, all our frames meet the standards EN and ISO. Special order and hot selling season 15-20days 2. Do you accept Paypal 9 Yes. 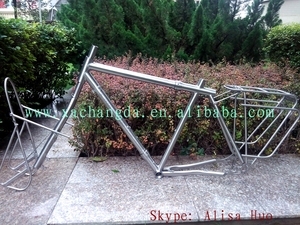 We will produce the drawing to confirm before paint jobs. And pictures will be sent for confirmation before shipping. 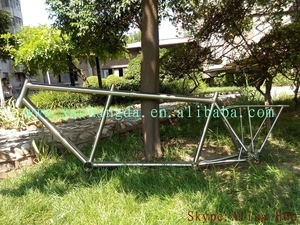 Alibaba.com offers 97 titanium road bike frame with s&s coupler products. About 17% of these are bicycle frame. 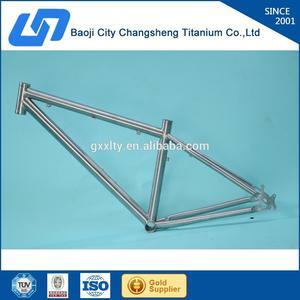 A wide variety of titanium road bike frame with s&s coupler options are available to you, such as road bicycles, bmx, and mountain bikes. You can also choose from no, yes. 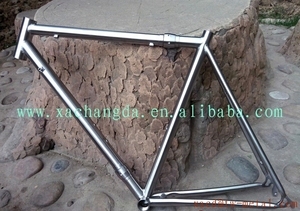 As well as from 48 - 52cm, above 60cm, and 40 - 46cm. 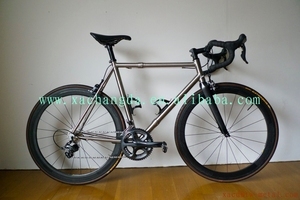 There are 17 titanium road bike frame with s&s coupler suppliers, mainly located in Asia. 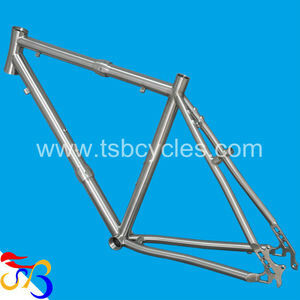 The top supplying country is China (Mainland), which supply 100% of titanium road bike frame with s&s coupler respectively. 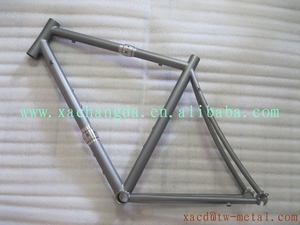 Titanium road bike frame with s&s coupler products are most popular in North America, Central America, and Oceania.